The introduction of biologically sound radiation fractionation regimens and combinations of radiotherapy with chemotherapy have gradually improved both the survival of patients with locally advanced head and neck squamous cell carcinoma (HNSCC) and the prospect of organ preservation. Long-term follow-up, however, has shown that some of the radiation–chemotherapy combinations are associated with increased late toxicity. This observation, in conjunction with advances in tumor biology, has led to the launch of investigations into molecular markers and targets for therapeutic interventions. Research on the epidermal growth factor receptor (EGFR)-mediated signaling pathway has enriched our understanding of the biology of HNSCC, in terms of carcinogenesis and cellular processes governing tumor response to therapy. 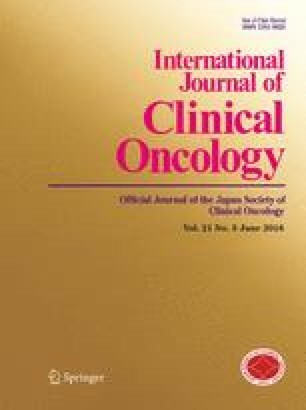 The finding that the addition of an antibody-based inhibitor of the EGFR pathway to radiotherapy significantly improves locoregional control and overall survival rates in patients with locally advanced HNSCC, without increasing radiation-induced toxicity, has resulted in the growing acceptance of such combined regimens as a frontline therapy option for locally advanced HNSCC. Because such therapy has benefited only an additional 10%-15% of patients, studies are being undertaken to identify markers and mechanisms of resistance to EGFR antagonists that are essential for the further refinement of therapy. Overall, preclinical and clinical studies on EGFR have validated the concept that selective tumor radiation sensitization can be achieved by modulating a specific perturbed signaling pathway, and these studies have increased the enthusiasm for developing and investigating other novel agents targeting other cellular processes. Dr. L. Milas has received research funding from Imclone Systems Inc. and Sanofi-Aventis. Dr. K.K. Ang has served on Advisory Boards of AstraZeneca, Bristol-Myers Squibb, Imclone Systems Inc., and Sanofi-Aventis.